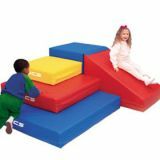 2 Foam Steps 24" x 24" x 15"
2 foam steps, 24" x 24" x 15". 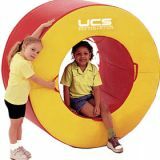 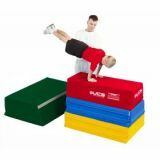 2-Sided Slide, 69" x 63" x 24"
Great for toddler to elementary physical education. 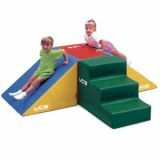 3 Step & Slide Combo, 24" x 89" x 21"
Walking, climbing, crawling, tumbling & jumping activities. 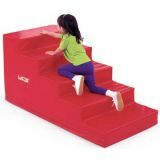 5 Foam Steps 28" x 56" x 28"
5 foam steps, 28" x 56" x 28". 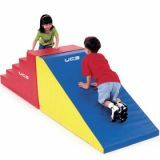 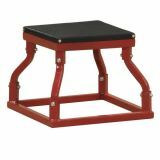 5 Step & Slide Combo, 28" x 112" x 28"
Exploration Unit, 60" x 72" x 24"
Includes a 24" cube corner piece, a 24" x 36" slide & 3 (6" thick) pads size 4", 3" & 2" square. 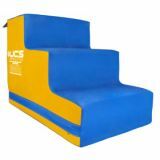 Attach with 2" velcro. 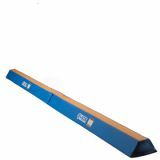 Foam beam, 8'L x 4'W x 6"H. 12" wide base. 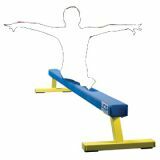 Can be used in various combinations. 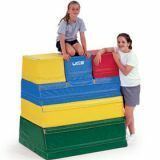 High Trapezoid, 36" x 36" x 36"
2" velcro flaps hold sections securely in place.